Interestingly, God didn’t establish a denomination through Abraham. He didn’t formulate a list of doctrine to be followed or health principles to be kept. To be a good steward to the God of the universe, Abraham simply had to let God be God and to bless his neighbors. Unfortunately, Scripture shows us that Abraham’s decedents failed to grasp the concept. They decided the blessings shouldn’t be shared, but protected, and their habit was to exclude. They drew lines and decided those unlike themselves were their enemies rather than those with whom to share the blessing of being part of the family of God. Fast-forward to the birth of Christ. Mankind had gotten it so wrong that God himself was going to become human and give an up-close example of what it means to be part of the family of God—how best to steward the blessings of this position. The religious leaders of the day were blinded by their doctrine, their laws, the expected behavior of those whom they would deem worthy of being part of this tribe. Christ portrayed in word and deed the true habits of a steward in the family of God. He gave regular lectures on prophecy. He made sure his disciples were all vegetarian. He kept his eyes focused on heaven and was sure to avoid contact with those who might be participating in questionable practices. Um . . . wait. That’s actually not what he did. While our Savior and Redeemer walked the earth, his habit was to embrace the poor, lift the marginalized, socialize with the outcasts, and affirm the great and glorious grace of his Father. Don’t misunderstand me. There’s nothing wrong with discussing prophecy or seeking the healthiest diet. And we absolutely have much to look forward to when Christ returns. However, if our lives are consumed with the preservation of denominational doctrines and a world-ignoring focus on heaven while our neighbors and communities are ignored, are we truly cultivating habits of faithful stewards? Or are we are simply following in the footsteps of the Pharisees who were so blinded by behaviors and dogma that they missed the Son of God in their midst? What if the overwhelming focus of having the habits of a steward were to love and serve our neighbors and our community? Asking the Spirit to guide us in living a life that is God-honoring is essential, but are outward behaviors for the purpose of some kind of spiritual piety or denominational purity the main issue and the clearest expectation of habits to be cultivated? The longer Christians are urged to distance themselves from the current culture and to separate themselves from the people God has placed in their path, the less they are portraying the habits of a steward in the image of Christ. In God’s Kingdom, there is no “us” and “them;” there is only us. 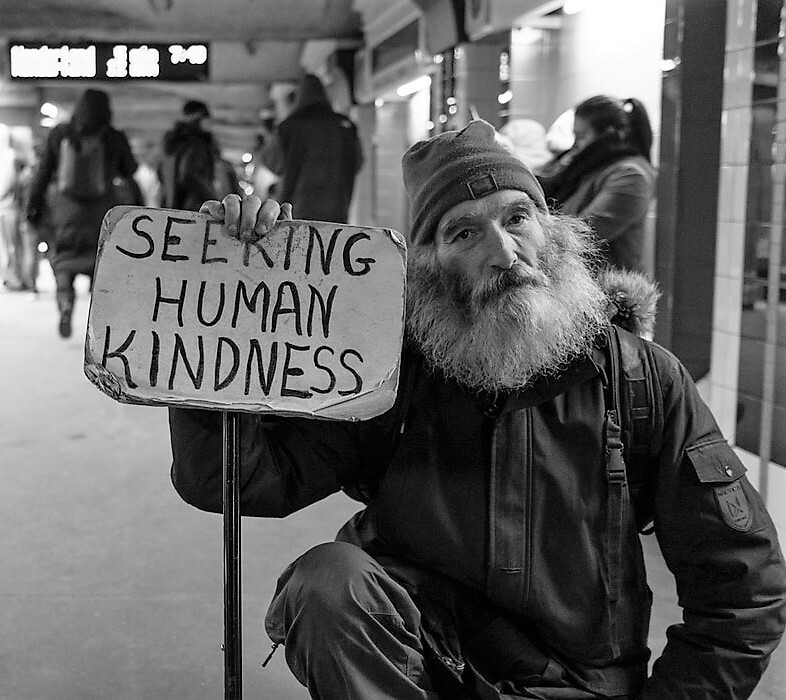 We live in a world desperate for an honest example of Christ, for people willing to walk with them and speak out when individuals are marginalized, when inequality is the accepted norm. Those should be the habits of a steward. Photo by Mike Collamer on Unsplash.